Fall from Grace brings you the story of Rond, Protoss Templar and the strife he must endure while serving the Conclave. Requires StarCraft: Brood War Expansion pack. Fall From Grace includes 4 missions, 1 cutscene, full unit, briefing, and in-game voices, new screens, and is the first campaign to replace a Blizzard Campaign via MPQ. Send all reviews to Desler. Note: These instructions can also be found in a readme.txt file inside the ZIP file. Using WinZip or another ZIP program that supports directory structures, extract all files in your StarCraft directory. 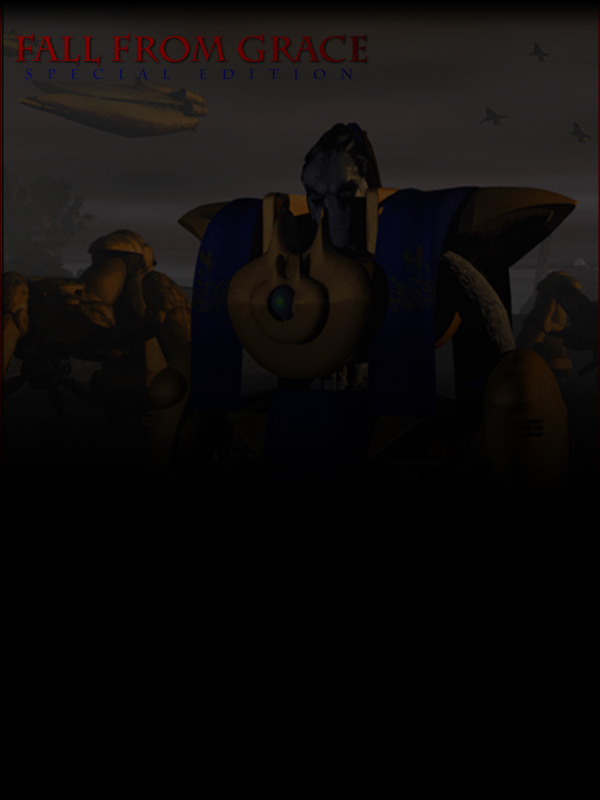 (nothing will be overwritten, except any custom portraits you may have downloaded in the past) Once done, run Fall_From_Grace.exe, select Single Player, then play the Protoss Campaign It is reccomended you start with the first mission and play your way through. Warning: Using the level skip cheat (there is no cow level) will cause these missions to desync, bringing up old Blizzard campaigns. Delete ffg.mpq, Fall_From_Grace.exe, the SMK directory (ffg.smk), the portrait directory, and the GLUE directory. This will restore your files. You can have this and still play StarCraft as normal, which is the beauty of the entire process, with the exception of the Tassadar portrait which will remain changed. 7576 - A computer from a galaxy far far away. Long live: Deep Space Nine, even numbered Star Trek movies, Star Wars, classical music, and people with funny noses.